We’re in the midst of a conversation about the meaning of the Lord’s Table, but we’ve also been talking about stewardship. The question is what, if anything, do they have to do with each other? There are those who think it odd that we bring our offerings to the communion table. They might wonder if there is a fee that needs to be paid to receive this meal. Some ask why churches seem to talk so much about money? There are fiduciary reasons, but that’s not all. Jesus talked a lot about money because he understood that how we view money has a lot to do who we are as children of God. On at least one occasion, he suggested that where our treasure lies, there our hearts will be. So perhaps bringing treasure to the Table is a sign of where we want our hearts to be. 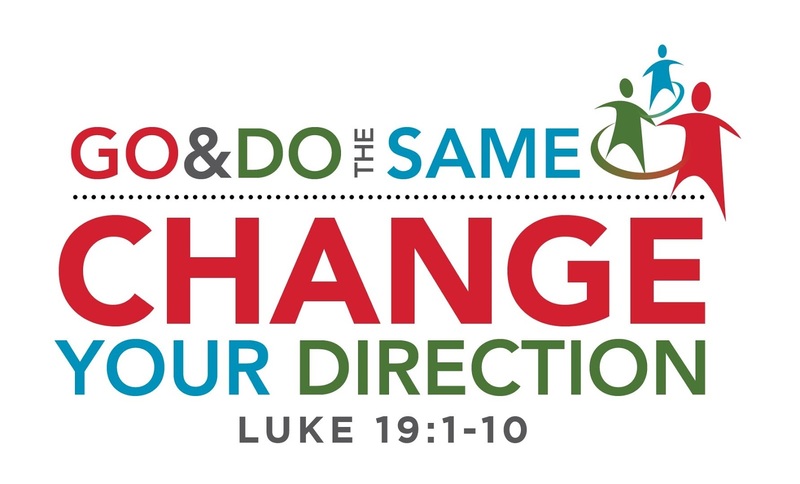 Our stewardship theme this year is “Go and Do the Same.” Each of the stories from Luke offers us an example to follow when it comes to the stewardship of our lives. We’ll bring this conversation to a close on November 13, which will be our Commitment Sunday. At that time we will lift up and bless the commitments made by members and friends of the congregation to the financial support of this congregation and its ministry in this community and beyond. 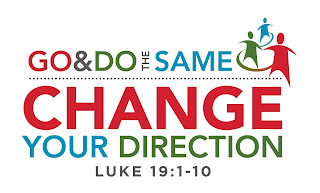 The exemplar in today’s story, the one whom Jesus would have us “go and do the same,” is Zacchaeus. You know the story of Zacchaeus. He’s best known for the shortness of his stature and for climbing a tree so he could see Jesus. Zacchaeus was also a rich man who discovered that money isn’t everything. According to the story, he went looking for Jesus, but because he couldn’t see Jesus he climbed a sycamore tree so he can see over the crowd. Not only did he see Jesus, but Jesus saw him. 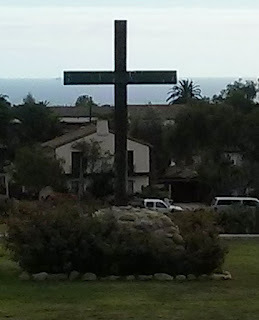 Jesus called out to Zacchaeus, “come on down so we can go to your house for dinner.” I know it’s not polite to invite yourself to dinner, but when Jesus issues the invitation, how can you say no? It’s in this request that we see a connection to the Table. That’s because when Jesus dines with people, lives get changed. Jesus may have been just passing through Jericho on his way to Jerusalem, but when he saw Zacchaeus, he decided to stay a while and have a good talk about what’s important in life. What makes this story interesting isn’t Zacchaeus’ height. It’s his status as a tax collector. Not only was he a tax collector, he was the chief tax collector in Jericho. Because he was Jewish, that made him a collaborator with the Roman Empire. In the biblical story, the Empire represents the Old Age where money equals power. But Jesus came as the harbinger of a new age in which money played a different role. We don’t really know why Zacchaeus went to all this trouble to see Jesus, but his curiosity led him back into the fold. What he heard that day was the message of God’s realm, the same realm that we pray will be revealed on earth as it is in heaven. As a symbol of the Old Age, Zacchaeus’s wealth is used to oppress and not bless. In embracing the Old Age, Zacchaeus had wandered away from his heritage as a child of Abraham and Sarah. But when he encountered Jesus, he rediscovered that heritage, which carried a promise that through the descendants of Abraham and Sarah the nations would be blessed. It would seem that he had lost his way, but the Good Shepherd led him back to the flock so that once again he would be numbered among the children of Abraham. While stewardship is connected to paying church bills, it’s much more than that. It has to do with our identity. It’s a way of expressing our covenant relationship with God and with one another. Each of us has a part to play in the life of the church. The stewardship of our financial resources is just one part of the equation. It’s also expressed in time spent with others and living out the message of God’s realm in the world. Stewardship has to do with the entirety of our being, especially as we live in the world as agents through whom God brings blessing. Zacchaeus had forgotten who he was, but Jesus reminded him of his heritage as a child of Abraham and Sarah. He expressed his joy at this rediscovery through the sharing of his finances. When we bring our offerings to the Table, and it is appropriate that we bring gifts to the Table, we offer to God a material symbol of our identity. There’s an ancient liturgical word for this. It’s called the “oblation.” Often the bread and wine are brought to the Table along with the congregation’s offerings, so that they can be blessed and used by God as blessings to others. Yes, the gifts we bring to the Table help pay bills, but they also touch lives. Since this is All Saints Sunday, it’s good to remember those saints of God who continue to bless this congregation through our endowments. The decision to remember the congregation in this way helps sustain the ongoing work of God in this place so that the world might be blessed. It’s also appropriate that we commission Susan as our Minister of Spiritual Formation this morning. This act of commissioning celebrates the gifts and callings of God to specialized forms of ministry. It too is an act of stewardship. Let us, therefore, as saints of God, celebrate God’s gifts that have been entrusted to us so that the world might experience God’s salvation.